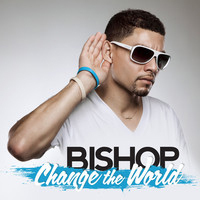 Download the hit song "Change the World" by Official Bishop for free! As the founder of Sea Mercy, I have come to realize that you never know who God is going to put in your life at any given time, but if you're willing to embrace each opportunity, incredible things can come from it. Last fall, while sitting in the Los Angeles airport, I had the incredible pleasure of speaking with a young man (Bradley Hansen) who is a well known and talented Rap & Hip Hop artist. Now at 50+ years of age (me not Bradley), Rap was never my music genre of choice and as my daughter will testify, I have very little "hip hop" left in me (more likely a "hip that pops"). Needless to say, we began to talk about our dreams and desires to somehow Change the World that we were a part of. While mine was to change a small part of the world in the South Pacific, his was to change the hearts of those who love music. As we sat in the terminal together, we shared our ideas and I even suggested that he write a song titled "Change the World" and offered a few lyrics suggestions and even a chorus (yeah, sounds scary). I was so moved by his sincere interest in my suggestions that by the time we touched down in Eugene, I had written out three sections and a chorus for him. To my surprise, within a few weeks, he had taken those lyrics and created an incredibly beautiful Rap song called, yes you guessed it, "Change the World" and gave me a studio CD copy of it to listen to. I fell in love with Rap that day. In spite of our age and cultural differences, Bishop and I have become great friends. Recently, knowing my dreams for the South Pacific, he offered to showcase this song online for people to download for FREE (see link at bottom of this page) in hopes it would encourage people to learn more about Sea Mercy and perhaps contribute to help support our goals. So if you are looking for a song to add to your iPod (or whatever music player you have), or something to give as a gift, I strongly encourage you to download the song and share the below link with a friend. You will not only add a wonderful and inspiring song to your collection, but you will be helping meet the needs of Sea Mercy and those in the South Pacific. Be sure and browse some of his other outstanding music while you are there! BISHOP (Bradley Hansen) is a great example of a man making the most of "second chances" in life. Following a very challenging family upbringing, in high school a new family stepped in and gave him a second chance in life, one that opened his eyes to new role models that helped him to learn self-discipline and a strong work ethic. Now as a father, he in turn devotes a great deal of his life to showing his daughter that she is loved in this world. 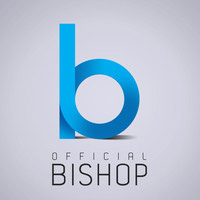 Bishop has faith in God, and can see God's protection and purpose over his life. With a biblical foundation and a passion for music, Bradley plans to bring the "good news" to people through his musical gift. We are so grateful for his love and support for Sea Mercy and the people of the South Pacific and we hope you support his musical efforts in return. Click here to Download "Change the World"